Bauer’s new national station, Hits Radio, has launched – replacing the Key 103 brand after almost 30 years. Gethin Jones, Gemma Atkinson and Dave Vitty have taken over the breakfast show, as Mike Toolan moves to mid-mornings. Guests on their first show included Jess Glynne, there was a chance to win £10,000 and the return of Dave’s Tedious Link which was a regular feature when he was part of the Chris Moyles Show on Radio 1. The first track at 6am – selected by listeners via an online poll – was Greatest Day by Take That. Other tracks played in the first hour were from Portugal The Man, Kings of Leon, Sia, Zedd, Shawn Mendes, Anne-Marie and Coldplay. The first caller, Ann Houten from Manchester, won tickets to see Taylor Swift in concert – the same prize is being given to every caller who gets on air on the show this week. Breakfast with Gethin, Gemma & Dave! Listeners on Bauer’s former ‘Big City 1’ stations across the North and Midlands – including Metro, Hallam, Radio City and Free Radio – will get new network shows from today as the Hits Radio Network launches at 10am. Mike Toolan is followed by Debbie Mac, then a local drivetime show. Sarah-Jane Crawford takes over evenings 7-10pm and Sophie Wright will be on 10pm-1am. 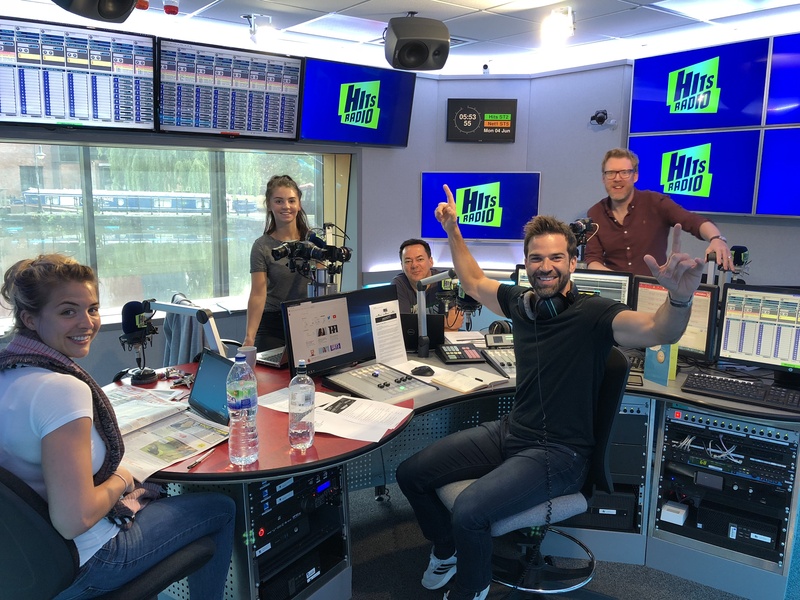 As part of the changes, digital station The Hits (Now Hits Radio UK) and Key 103 (now Hits Radio Manchester) are dropping the Big Top 40 chart on Sunday afternoons – instead Sarah-Jane Crawford will front a brand new entertainment led show called “This Week’s Biggest Hits”. The other stations in the Hits Radio Network will continue to take the Big Top 40 show from Leicester Square though. As a result of the Key 103 name change, Key 2 on 1152 AM and DAB has changed its name to Key Radio. Key 3 closed a few months ago ahead of it closing down to make way for Hits Radio. And to avoid duplication of Hits Radio on the Manchester DAB multiplex from today, The Hits has been replaced by Absolute Radio Classic Rock on digital radios in the city. Did they really do “Dave’s Tedious Link” ? Jeepers. Start as you mean to go on guys with decades old features from other shows…. Going to be nice to hear dave vitty back on the radio at last. Sorry, this show is not working for me, time to move to another channel, massive error in judgement. The problem is it’s just a bitter pill they’ll have to swallow for a while. It’s not an error in judgement. It’s in fact a sound business decision by a group which hasn’t had “local” on its radar for ages. It’s the perfect business decision. 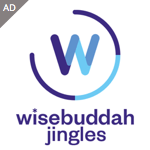 If you ever listened to their ad logs – very little local business compared to national ads. Bauer no longer see much worth in micro deals with multiple small local businesses, but would rather get a lower CPT from agencies and cut back on local sales teams/facilities. While it must hurt some egos from the old Key that it’s not being loved, management won’t be bothered and be prepared for a big old hit on Rajar over the next 12 months. All the network’s stations run through Castle Quay now, so it’s being set up as a Northern hub for when Ofcom change the rules on breakfast. It’s a shame for all the people who work their though who are still being sold the “This is a promotion for everyone!” line. Something which apparently Gary Stein even said to the whole office, despite the fact the swing jocks who’d all been given the boot ten minutes earlier being there. I have listed to Key 103 for ever and ever and loved Mike, Matt & Chelsea and now Gemma. They didn’t have to change key 103 to hits radio. Key 103 was Manchester number 1 radio station. Mike Matt and Gemma were a great team and made the morning radio a great listening station. It’s just not the same with these changes. Bring back key 103. Bauer doesn’t seem to care about your opinons, or admit to past mistakes. In fact they don’t even learn from them. Just look at the Rajar figures for somebody their radio stations which are networked. Look at TFM as an example. TFM is totally simulcast with Metro. Changing Key 103 will be suicide in my opinion, and i dont even live in Manchester. I heard the radio station for about 45 minutes on DAB and turned iover. The breakfast presenters just do not gell. Very scripted. Pure rubbish. The only way to change Bauer’s mind is not to listen, that way advertiser’s will withdraw and force a reversal.